The Reds headed to the UAE following a raucous 4-3 win over Crystal Palace at Anfield, with their next game not coming until January 30, when Leicester visit Merseyside. 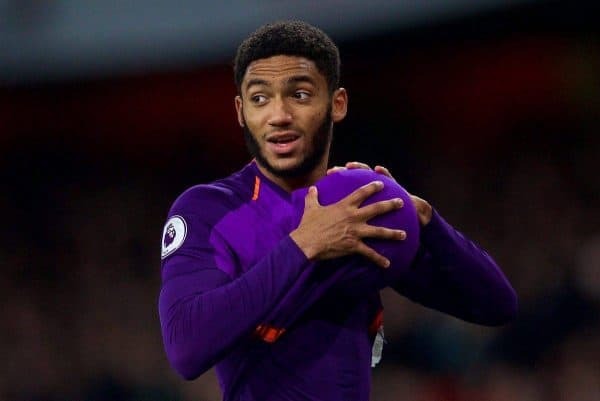 James Milner‘s red card against the Eagles, along with injuries to Joe Gomez, Trent Alexander-Arnold and Ki-Jana Hoever, have left Jurgen Klopp short at right-back for that upcoming clash. But despite limping off late on in their latest victory, Fabinho is now expected to be back fit to give Liverpool a much-needed senior option. According to the Mirror‘s David Maddock, the Brazilian has returned to “light training,” with the club’s medical staff “extremely hopeful” he will be able to start against Leicester. Furthermore, he claims Gini Wijnaldum (knee) will also be available, while Alexander-Arnold (knee) should return for the trip to West Ham on February 4. With Oxlade-Chamberlain (knee) now pencilled in for full training in mid-to-late February, and both Dejan Lovren (hamstring) and Ben Woodburn (ankle) taking part in outdoor work in Dubai, Klopp could soon have a full complement of players. The only long-term absentee is Rhian Brewster, who is still working his way back to fitness after ankle and knee surgeries, with the manager taking a patient approach. 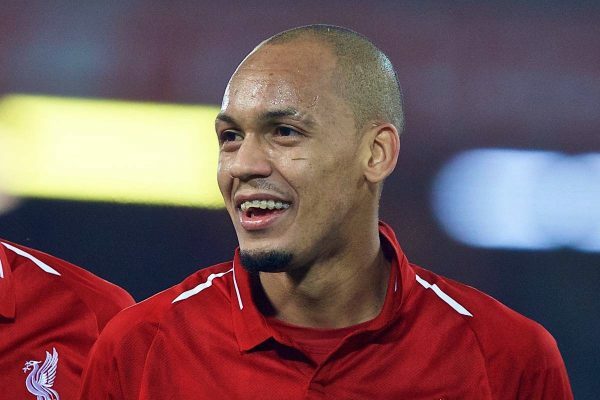 If Fabinho is fit for Wednesday night, he would be the ideal solution at right-back, given it is the role he plays for the Brazil national team. Otherwise, Rafa Camacho is likely to step in, with the 18-year-old potentially following up his Premier League debut with his first start in the competition.